Need help? We support everything we sell. From help with pressing a substrate, to remote accessing your computer to troubleshoot color issues, to assisting you with installing your printer, software, or color profiles. we are here for you. Speak to one of our experienced technical support staff Monday through Friday 8am to 9pm and Saturday and Sunday from 9am to 9pm CST. MAC & PC remote support available. The Online Resource for Conde Partners. 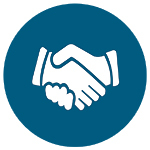 Created exclusively for our partner community, the Conde PartnerNet provides you with resources to help you grow your business and meet the needs of your customers. Download product templates, help documents, instructions, drivers, ICC Profiles, instructional videos and much more. Have questions? Visit our frequently asked questions page. Watch How-To videos for a visual learning experience. Our video tutorials provide step-by-step instructions for most all of our products. Contact support to request ICC profiles and color charts for new and legacy printers. A Cond? tech will call you and help you get your system up and running. Establish a Support Connection here. You will be prompted for a Support Key which you will receive from your Technician. Our Cond? Facebook page serves as a notice board for all our special events, tradeshows and other activities. We post graphic links, support articles, videos and we even have LIVE feed from seminars and shows. Conde's new Dye Sublimation Support Forum is a place where you can ask questions, have things explained and ask for marketing advice for your sublimation business. Plus look for special offers and deals just for the group, too.